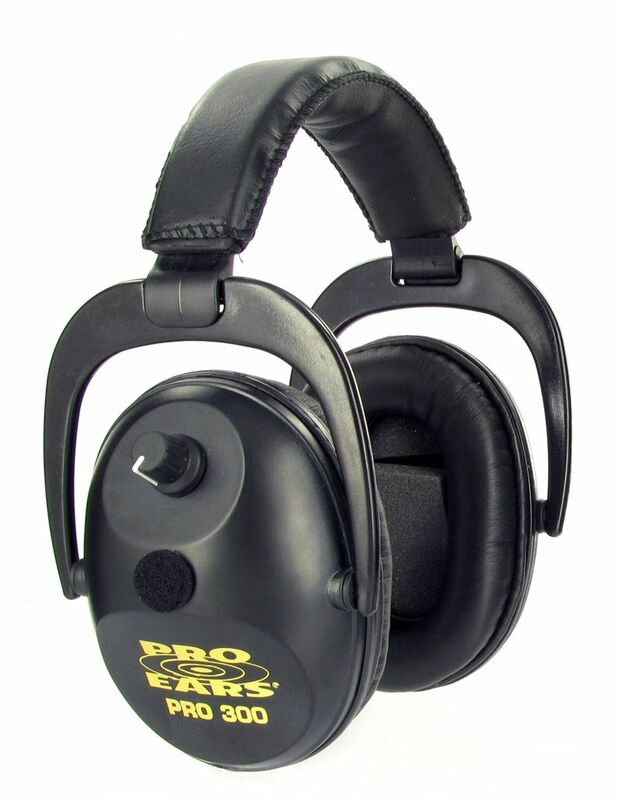 The Pro Ears Pro 300 is electronic hearing protection that is designed for the hunter or shooter that is looking for the safety and convenience of DLSC compression technology, as well as an extremely lightweight and compact unit. The chopped-cup design makes this muff a great choice for the shotgun shooter. This unit has 15 decibels of amplification and operates in a continuously noisy environment. They have stereo hearing, independent volume controls and a 250 hour run time. Every Pro Series hearing protector comes with a limited three year warranty - perfect to give you peace-of-mind that you have purchased the finest American-made electronic hearing protection available. Your Pro Series earmuffs are protected against defects in materials or workmanship for three years from the date of purchase by a limited warranty. You can also call our customer support M-F 8 AM to 4 PM Mountain Time, to talk to a representative about any problem you may experience or offer suggestions on how to improve our products or service. You must contact Customer Service for a return material authorization (RMA) prior to returning your shooters hearing protection.